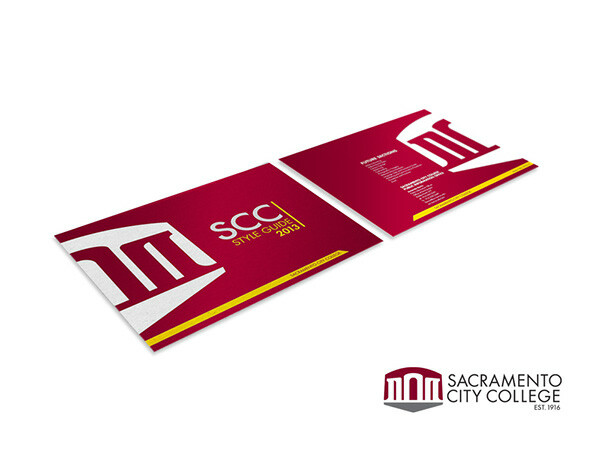 When Sacramento City College was developing a new brand for the school, the Graphic Communication department teamed up with Flagship Design Studio. 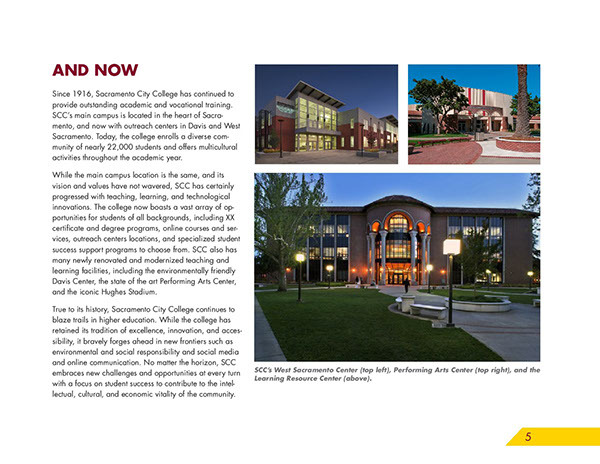 As an SCC student at the time and a designer with FDS, I was added to the team as Project Manager for developing the page layout system, plus the look and feel of the style guide, along with co-designer Theo Allen. 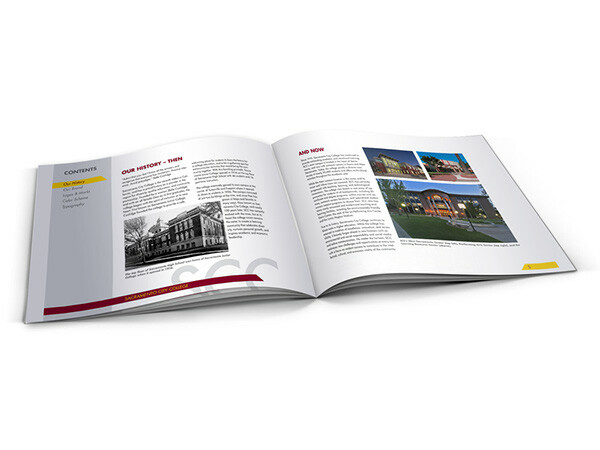 The digital publishing work for this style guide project was divided between Adobe Illustrator and Adobe InDesign. 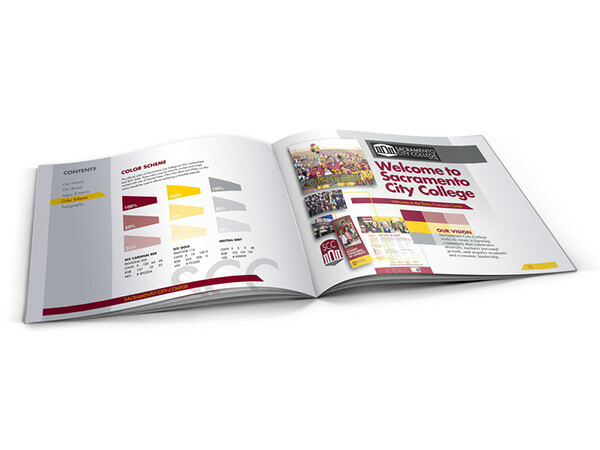 Illustrator was used to create custom vector graphics & illustrations, as well as color management for the new brand. 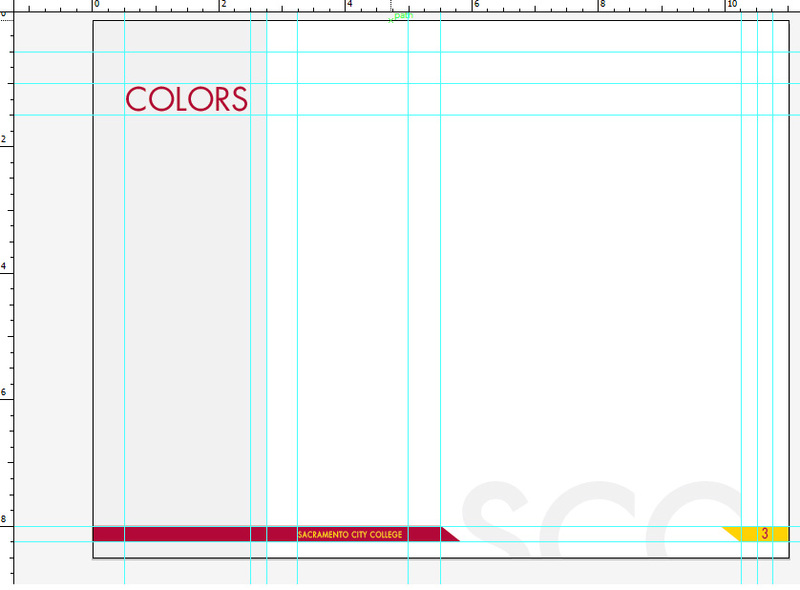 Next in the process, we took the custom graphics, imported them into InDesign to assist in guiding us to create custom page layouts and develop our typographic style.